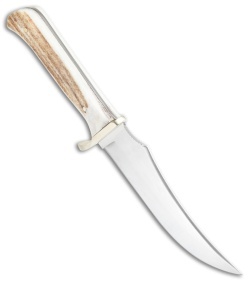 The SGB Skinner Fixed Blade from Puma features a full-tang 440A German stainless steel blade with a satin finish. 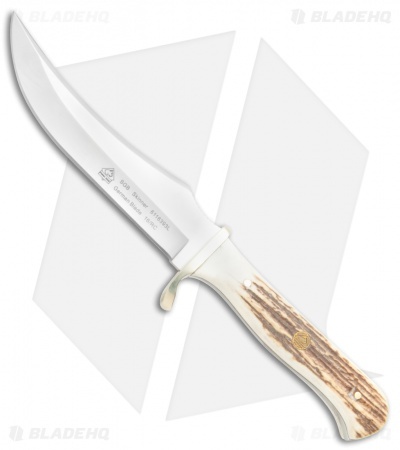 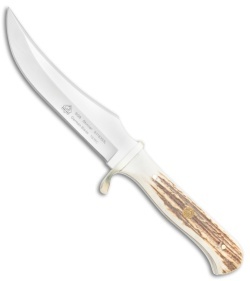 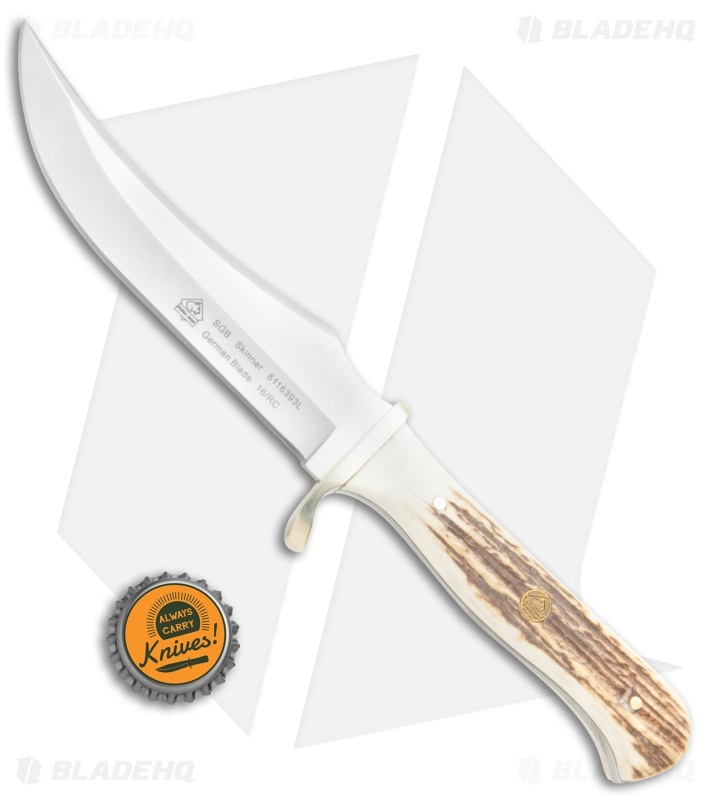 Its handle is fitted with contoured stag scales and a brass hand guard for comfortable and secure use. 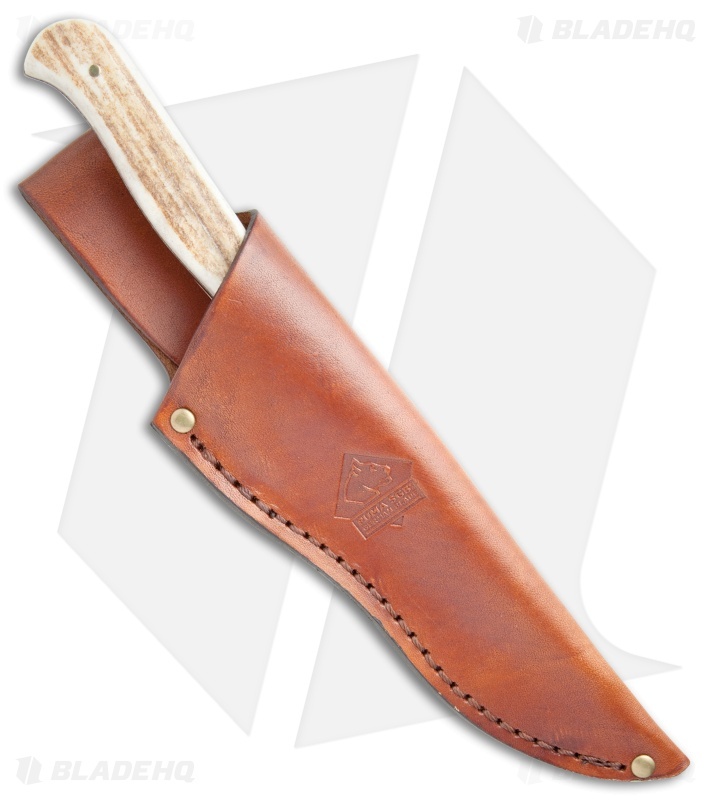 Includes a leather sheath for belt carry.